Notes & Reviews – Jammie Cats Share! Click here to send us a message, or add a comment below. 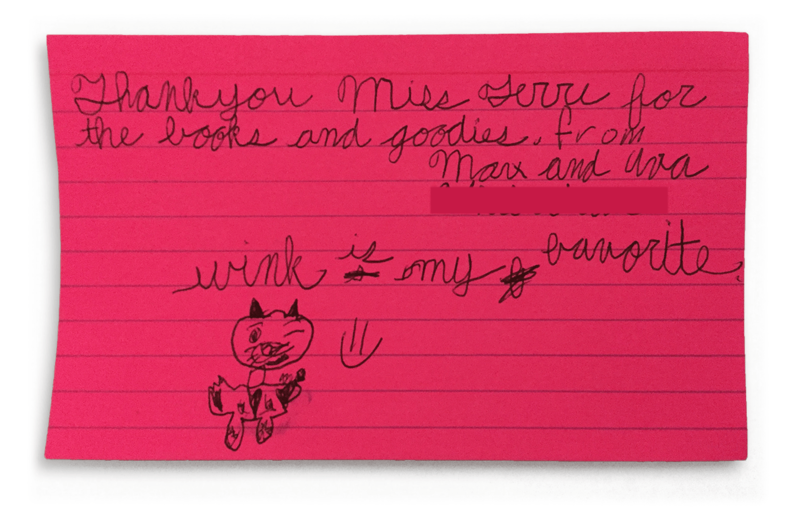 Thank you Ava and Max for reading my book and for writing me this amazing note. You are so kind and considerate. Ava, your penmanship is impressive and your drawing of Wink is adorable, as well as a splendid likeness. I look forward to seeing more art from both you and Max in the future Jammie Cats Art Galleries.